Starting May 24th, (through the 30th of May, or until supplies run out) when you buy a special Frappucino re-usable cold tumbler, you’ll get a free Grande Frappuccino! Just in time for Memorial Day weekend! It will be warm and sunny in many areas of the country – perfect for Frappuccinos. (Though I wouldn’t count on Seattle being warm and sunny!) It sounded like a fun promo to me, and so I thought I’d mention it! And on a change of topic, also there is a promo going where if you’re buying any at-home coffee (whole bean coffee, Via Ready Brew, Verismo pods, and K-Cups) now through May 30, at any participating Starbucks store, you’ll earn 5 stars for each qualifying at-home coffee purchase. There are a couple of details that are important to know: you must be paying with a registered Starbucks card, and your profile at Starbucks.com/card must be at the “Gold” level. In other words, as you know, you don’t have to use the actual gold card. Right now, I am using my Evolution Fresh card. But you do have to be a “gold” level member of MyStarbucksRewards. And, as always, I assume that stars will show up in your star history, which you can track online at Starbucks.com or using the iPhone or Android Starbucks app. This is an open thread. It’s been eons since I’ve designated a thread as an open thread and I thought it made sense to start a long weekend talking about Frappuccinos – or talk about anything Starbucks-related! To all my U.S. readers with a three-day weekend, hope everyone has a fun Memorial Day weekend! The Mini Frappuccino Comes Back to Starbucks in a Big Way. Frappuccino Happy Hour: An Extra Hour of Happy – Lite and Yummy! The Adorable “Mini” (10 ounce) Frappuccino. 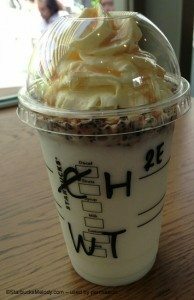 THE SECRET BLACKBERRY CREME FRAPPUCCINO: Frappuccino of the week! That Japanese frap certainly looks good and indeed some dessert! Since this is an open thread- a sweet sight the other day. At my local SB in walked a group of Tacoma WA firefighters in their dressed blues. I asked them what they were doing here and unfortunately they were bringing a fellow fire fighter home because he passed away. The partner behind the counter heard our exchange and she gave them all free drinks. Very sweet and none of them asked for it and tried to pay. It made me proud for my local SB and for the partners there. They all said they were sorry to hear the reason they were there. Happy holiday to all! Happy Memorial Day weekend to everyone. @purple1: really beautiful (sad) story for this weekend. I’m glad Sbux stepped up, as they should have. I remember telling Melody this story when she was here and we first met…which, @Melody, was Memorial Day weekend and I cannot remember whether it was 2011 or 2010….? Must’ve been 2011…could not have been THAT long ago…? Anyway, was telling Melody of when my Dad (Army Air Corp, WWII) died in 2008. He was 91 1/2 and really, like my mom, who is now 92, almost 93!, had never been sick, never been in a hospital, etc. So, we are lucky daughters…..couldn’t have better parents…and maybe some great genes! Anyway, and I’m sorry Melody, way O.T., when one of my sisters and I were out doing all the necessary, sad stuff the day after he died…we’d been getting the flowers all picked out from us, my mom, grandchildren. It was March and pouring rain. We got thru that part and then stopped at a Sbux nr my mom’s…I’d never been in it or even seen it, and at that point my sister and I sat down at a table and just starting bawling…but still, getting done what had to be done. But, we needed a coffee break. I pulled myself together as much as I could and went up to the counter to order our coffees…..the partner asked : what was wrong. I barely choked it out. She was SO sweet. She put her hand on mine and said don’t worry about any thing here, we’ve got it. It was really touching and so kind. so simple and I will forever remember that moment. (now I can’t write anymore.) Maybe this is a Memorial Day thread after all……. @purple 1 and @denise r – thank you very much for your stories. 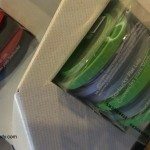 I have seen similar stories at my regular Starbucks, but what also usually happens at my regular Starbucks is that some of the regulars step up. Today the Baristas at my regular Starbucks were promoting the tumbler deal and the coffee deal, as well as sampling continually. There has been an amazing transformation over the past couple of months at my regular Starbucks. A new Store Manager was brought in (a 6+ year local veteran) who cleaned house, took the core of good Baristas and reinstilled passion. She then prepared the store to only have a part time shared (16 hours per week) manager by bringing in a passionate lead with 4+ years of experience. This is a “Reader’s Digest” version of a much greater series of moves, but I and the core regulars haven’t felt this good about this store in over 2-years. I hope you all take a moment this weekend to remember those who have passed so that we may all live in the freest and best country in the world. I’m seriously thinking about buying this, simply because I love the silver dome lid. I never get whipped cream… in fact, I never get anything other than water or espresso shots, but I just love it. Anybody else notice that the font is a throw-back to when we first launched the “customize your frappuccino” promotion? 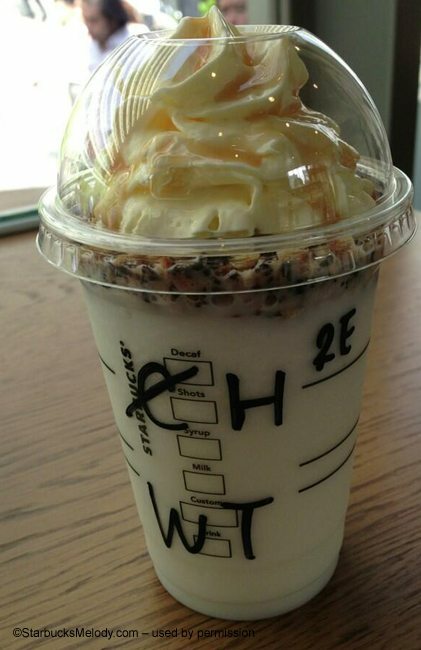 Wow, the tiramisu Frappuccino looks amazing! I also find it fascinating that their cup markings are completely different from the ones we use here. On the subject of the new tumblers that were released for the summer promotion, I love the chiseled theme. 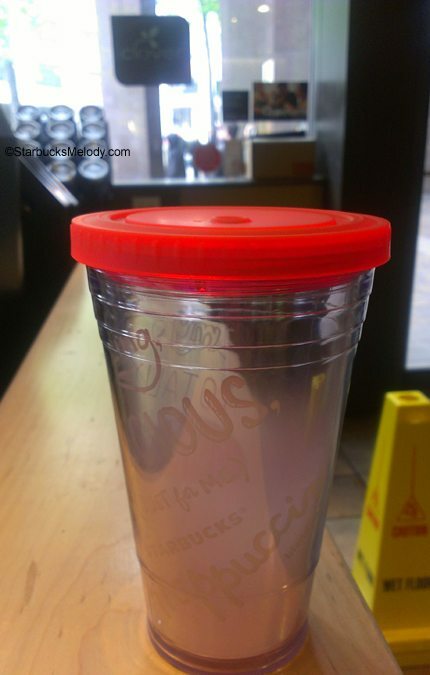 It really makes the tumblers stand out and ties in really well with the “crunch” and “crumble” Frappuccinos. 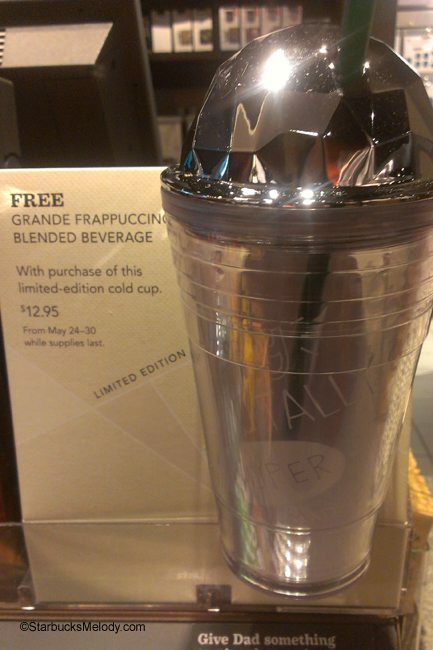 But I am disappointed in the limited edition Frappuccino tumbler. I thought it would stand out a little more, but it’s only meh… Still a really good deal if you’re looking for a tumbler and tasty drink at the same time. @Purple1 – That is a nice story! Those firefighters were far from home! 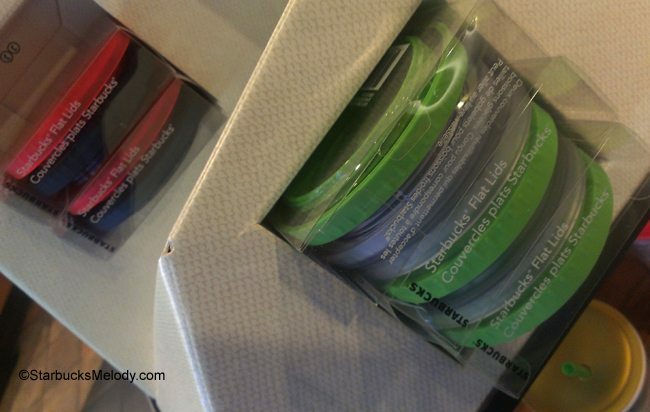 @DeniseR – Glad that Starbucks gave you and your mom their best. ^ That is my favorite tumbler ever. I do use it! I didn’t think the limited edition one was bad, but I’m not fond of the chiseled dome lid, and I just thought it needed a contrasting color to make the words on it pop. Regarding the 5 bonus stars for in store coffee purchase, is it really for gold star members only? because I recieved an email regarding that promotion and no where does it state that you have to be at gold level. I am green level by the way. Love the blog by the way, very informative. Hi Sheila! Thank you for your comment, and I am glad you’re liking the blog. Tell your friends. 😉 I had heard that you had to be a gold member, but that wouldn’t really be what Starbucks typically does. I will email Starbucks and try to find out. Unfortunately, with the long weekend, I’m not sure I will hear anything soon. Every single past bonus stars promo that I can think of has been open to all – there was one in February that was open to all. Good question. I actually called Starbucks on Friday regarding the 5 bonus stars for in-store coffee purchase and they said it works for all levels, not just gold. I’m on green level. Later that day I did go to Starbucks and bought a bag of Pikes Place Medium beans and later that day my 5 bonus stars showed up in my rewards! @Melody I definitely know what you mean. My usual go-to tumbler is a Venti Hawaii tumbler (same design as the picture Kristen sent you) which I use for water while I work (yay hydration!). A good deal right on time for the holiday weekend. 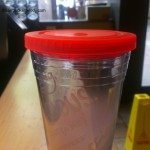 I must admit that I’m not a fan of the new cold drink tumbler (well, at least not the domed tops). It seems to be extra bulky in comparison to previous versions. @Sheila and @Melody: I was told by a dm that you had to “use your gold card” for those bonus points….but, I think, since she kind of said it in passing, that she may have not literally meant only for ‘gold status’, but, with a registered card. But, I don’t know. ??? Another annoying thing is that the MSR site (which DadC…. needs to fix 😉 has been down, or half-down, or incorrect for the past 3 days. unless it’s me.??? Always ‘slays’ me that this big big company can’t do better in the digital world…. I’m sure your local DM was confused. 🙁 I checked with an official Starbucks spokesperson (Linda) . Actually, one thing for me that plays into the idea of extending from 30 to 90 days is that it is a little hard to track rewards. And then so many people are only near licensed stores. Those 2 things combined make it a little hard to use rewards for many. And on top of it all, the website and apps sometimes dont update regularly. on my Kindle, sorry short &sloppy. Just want to let Canadian residents know that the Frappuccino offer is already over. I went to my local store yesterday, and the promotional dates were different.